Tired of your regular PC clock? Want something special for your computer screen? 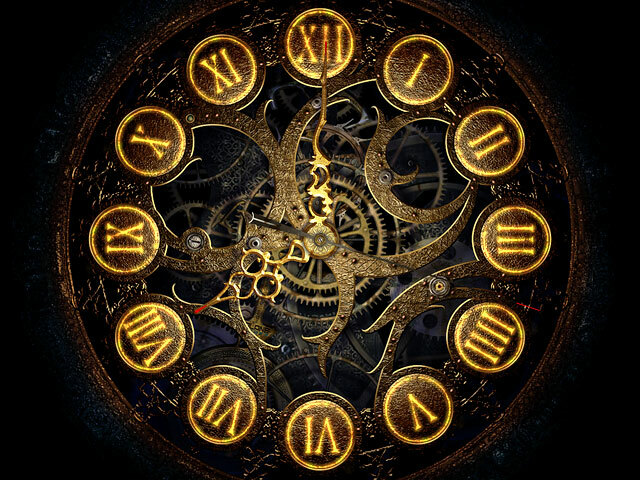 Then get this amazing Mechanical Clock 3D Screensaver. It shows you all the "internals" and mechanisms, all working in perfect sync. We've even hired a practicing clock master to be our consultant to help us design a realistic clock screensaver, selecting an 18th century Swiss clock as a model. Mechanical Clock 3D Screensaver always works correctly and keeps perfect computer clock time. In addition, this screensaver does not require any setup whatsoever. The clock piece itself is so exquisite and so fascinating that some people watch it without interruptions for hours. This screensaver is great for home or office PC. It is also great for any public place, as a quick glance is all that is required to get the time. And since it is 100% FREE to download, you should download your copy now!